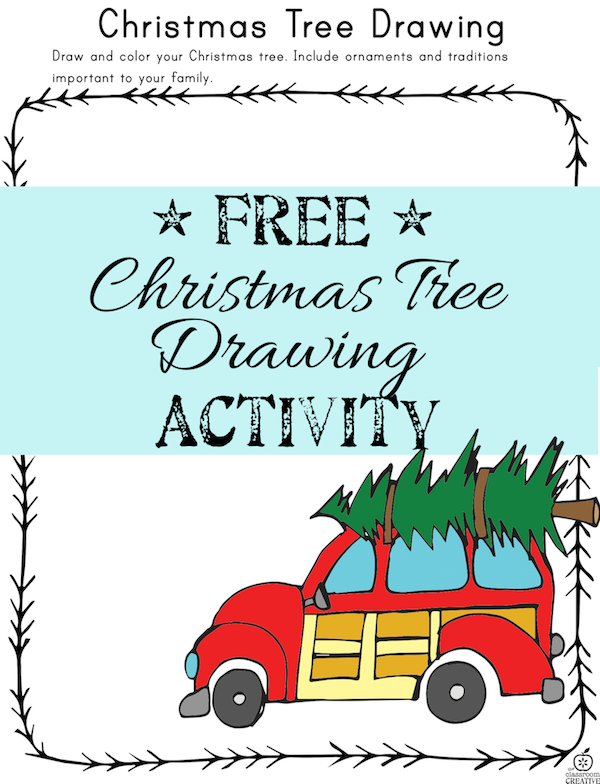 Today’s post is a free printable Christmas drawing activity for the holidays! It is part of our differentiated Christmas Tree Life Cycle Writing Craftivity. This activity focuses on preserving the Christmas traditions through drawing for your kindergarteners, first, and second graders. Plus it makes a nice keepsake! Help keep holiday traditions alive by downloading our activity. For a more focused Christmas art lesson see our Christmas Elements of Art Ornaments Activities.